It’s few hours before the most exciting event for all Apple developers and fans. Social media are filled up with comments about Apple Worldwide Developers Conference 2014. Internet users are eagerly waiting for the event to start and they are excitedly pondering what is going to be unveiled in a moment. Many things has been rumored today and we want to present you the most popular expectations about next few days of the conference. We scoured social media in order to analyze general moods about the conference and to find out what users anticipate. 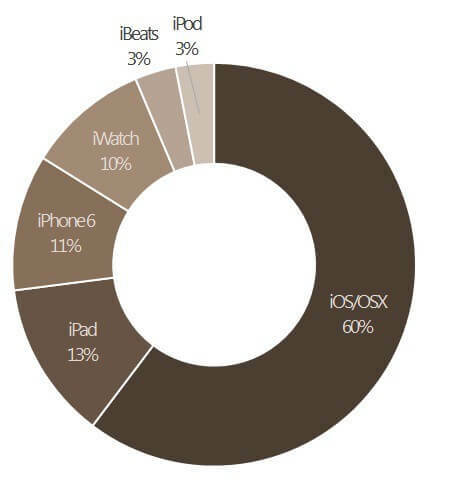 The most talked-about innovation are iOS 8 for iPhone, iPad and iPod touch and OS X 10.10. for Macs. iPhone 6 has also been rumored keenly. But those are only speculations, which may or may not be confirmed today in the Moscone Center in San Francisco. We will stay current with the event so stay tuned! Social media generally feels very excited about WWDC2014. Most of opinions we found by means of our analyzing tool are positive. Here are some sample mentions of those who can’t wait for the conference to start. This is only a small sample of peoples’ reactions to WWDC2014 before the event. So far people feel eager to the conference and the anticipate some amazing novelties to come. Will Tim Cook live up to those expectations? Will fans be satisfied with new technologies. We are going to find this out later on.